Is Online Poker Safe? - Casino Answers! Casino Answers » Poker » Online Poker Beginner Q&A » Is Online Poker Safe? Of all of the questions asked about online poker, asking whether or not it is safe to play often comes at the top of the popularity list. In all of the cases in which this question is asked, the people asking are genuinely worried about their details, account and, most of all, their bank or card details that are inputted into the system. There is a simple and a complex answer to this question and you need to know both. The simple answer is that yes, playing poker online is safe. All of the top online poker sites have their own security to prevent hackers and the like infiltrating the accounts from their sites. All of the sites are certified and have their own backup systems to ensure that your details are completely safe. They use the best possible online security as well. However, the long answer offers this information and then goes a little bit deeper. Online poker is only as safe as you are. You do not have to worry about the casino or poker room side of things but you should take your own precautions and safeguards as well. For example, if you click on an email that is not legitimate and enter your username and password then you may find your account and details compromised. You should also have antivirus software working for you at your end. If your online poker accounts are protected from both sides then online poker is completely safe. So when playing poker online you don’t have to worry about it being safe or not and you can just go, enjoy yourself and get to winning some money. People have the same worries when it comes to buying something online from a site like Amazon or booking a flight or vacation. I want to buy that hat online, its cheaper than in stores, but I’m scared to put my information out there. I’ll just buy the hat at the store and pay their inflated price instead. As long as you take the necessary steps, like antivirus software and never opening and filling out an email from an unknown source, than you have no worries when it comes to playing poker online. Look at it this way, if online poker sites weren’t safe than word would travel fast online and people would stop visiting that site to play and in turn that site would stop making money. 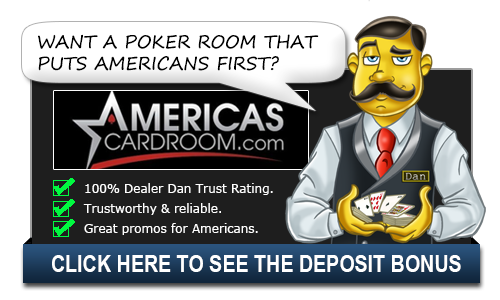 Poker sites will do whatever they can to ensure that your experience is as safe and worry free as possible so that you will continue playing there. This question is a common one and it makes perfect sense. Why do something that risks you having your information stolen from you. Playing poker online wont be a problem as long as you are familiar with the other risks that comes with using internet. And with the internet and each sites security these days all of those worries can be put to rest.